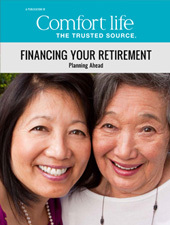 About to retire or recently retired but don't know where to start? This checklist will help you get started with your retirement living search. Take a look at your current finances, including major assets like your home, and think about what you can afford now and in the future as you age. Worried about outliving your retirement savings? Read Reduce Your Financial Risk and download our .pdf for free financial tips and advice. Depending on the size of your city, you may have only a few choices, or too many to choose from. Once you’ve decided on the city, you may have to narrow your search down by community type, care level and ammenities. Shortlist the homes and communities you are considering and then spend some time visiting each one. Enjoy a meal, participate in activities, take a look around and speak to current residents and staff. This may be your retirement home, so make sure you are comfortable and happy there. Ask the right questions when touring a retirement community. Download our free eBook The Ultimate Retirement Tour Checklist for tips and advice to help you with your search. Many retirement communities offer ‘staycations’—the opportunity for seniors to stay overnight for several days to fully immerse themselves in the community before making their final choice. Once you’ve made your decision, have fun choosing your suite and making plans to turn your new community into your home. There are many companies that help seniors downsize and move into retirement communities. Finding professionals to help you will make the move into your new home less stressful. Once you’re moved into your new retirement home, get to know your neighbours and become active in the community by participating in the planned events and activities that are available to you. This is your time! Enjoy retirement. Start your retirement living search today. 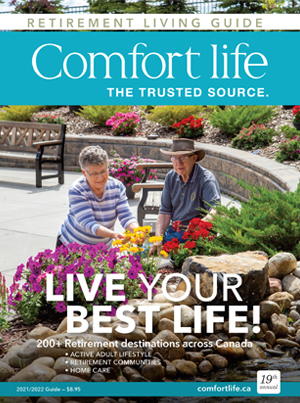 Explore your retirement community and care options by province or retirement care type.